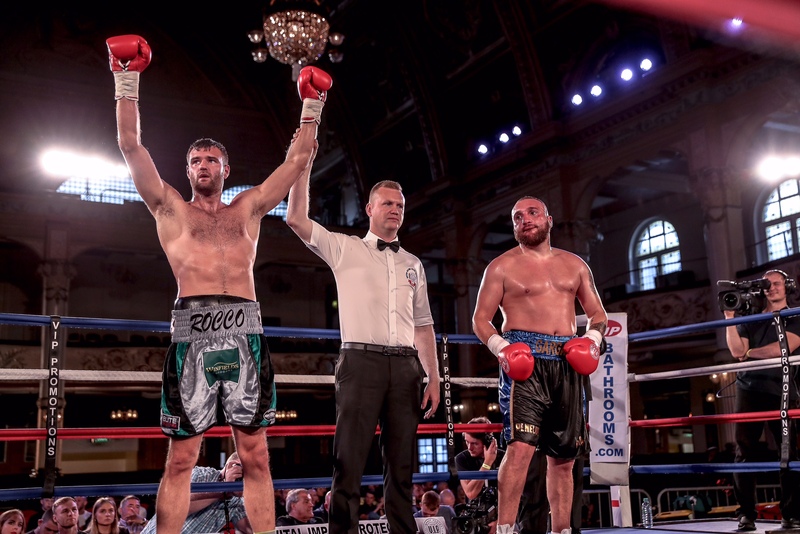 Darwen’s Mickey Ellison (4-1) secured his first career stoppage victory on the undercard of the WBO world heavyweight title showdown between Joseph Parker (24-0) and Hughie Fury (20-1) at the Manchester Arena on September 23rd. His 31-year-old opponent, Andy Neylon (2-22-1), was forced to retire at end of the second round after sustaining a broken nose, courtesy of an Ellison right hand. Despite fighting in front of the cameras for the first time on a bigger stage at the Manchester Arena, he claims he wasn’t fazed by the occasion at all, “I felt alright, didn’t feel nervous but then I didn’t have time to think about it because they brought my fight forward so only had 13 minutes to warm up!